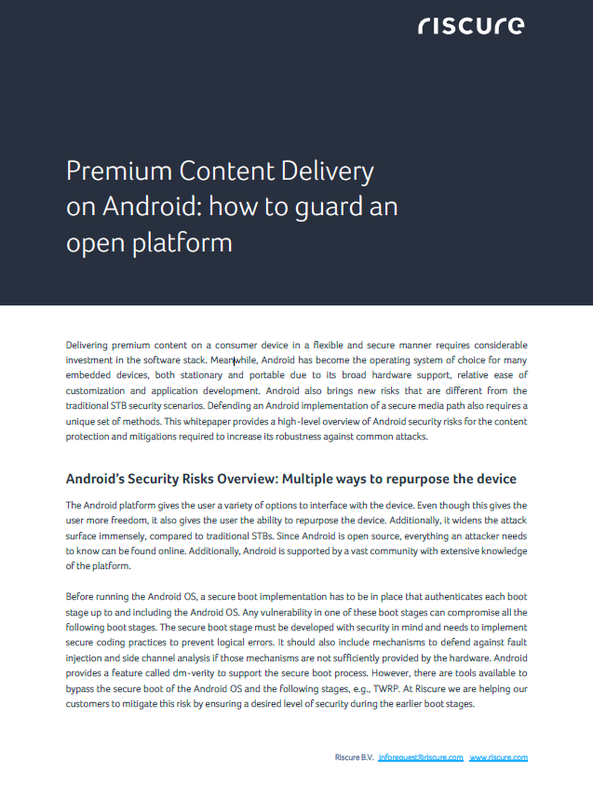 This business whitepaper provides an extensive overview of Android threats relevant to the premium content market. Unlike traditional STBs, Android-based devices present a totally different threat landscape. Everything from a simple device repurposing to malware and DDoS, and up to the theft of protected content, is overviewed. A basic set of solutions is offered as well: with the abundance of Android-based entertainment devices, building a secure environment for content delivery in Android is essential. Thank you! Please click this link to download the whitepaper.